Spetacularly Renovated Oliver 2 Bedroom Apartment! Luxurious Oliver 2 Bedroom Top Floor Apartment Featuring Hardwood Floors, Quartz Conunter Tops with Undermount Sinks and Luxurious Soaker Tub!! 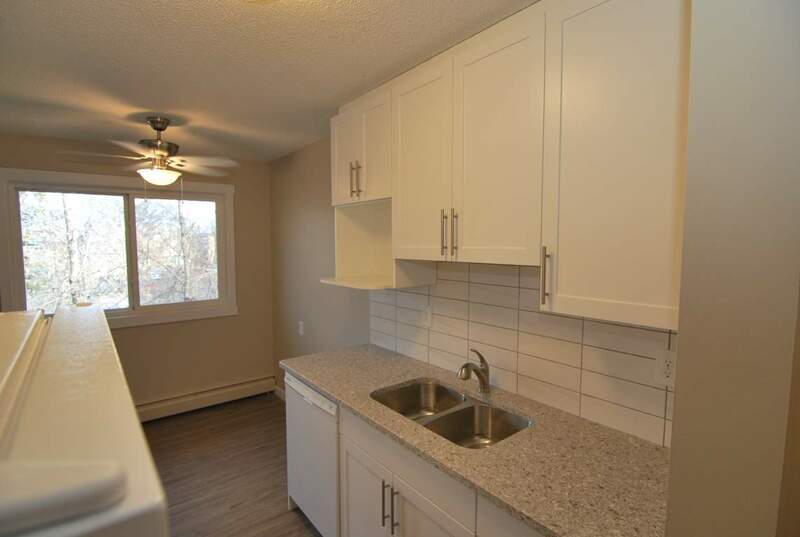 BE THE FIRST ONE TO LIVE IN THIS NEWLY RENOVATED OLIVER 2 BEDROOM APARTMENT! Enjoy TRANQUILITY and SECURITY in your new home. Nothing but the best service provided by the ON-SITE MANAGEMENT in this unique FAMILY OWNED apartment located in the beautiful neighbourhood of OLIVER. Many of the current residents have enjoyed living in their homes for over 20 years. Royal Park is located just a short walk to all your shopping needs in the very trendy Oliver Square. Enjoy a scenic stroll to downtown, only a 10 minute walk, or relax in the beautiful park just across the street. Located only 2 blocks North of Jasper Avenue and 2 blocks east of 116 St. you will conveniently commute to anywhere you need to go. Several schools are also located in this desirable neighbourhood. This 2 bedroom apartment has recently underwent a spectacular renovation featuring a gorgeous kitchen featuring stone counter tops with undercount sinks, new bathroom featuring a SOAKER TUB, HARDWOOD FLOORS throughout. This suite features a large living room and kitchen areas with modern appliances including a dishwasher. The master bedroom will easily accommodate a queen bed and a bedroom suite, and there is plenty of storage provided by the in suite storage room and linen closet. Peace of mind is provided by the high security lock system, camera system and the well lit parking lot. Show off you new home to all your friends as you tour them through the brightly lit hallways and entrances. Enjoy the convenience of not running up and down stairs by having your laundry room on the same floor. Free heat and water and free parking with your own energized stall is provided. You can live in this quiet community for only $1297 per month. Call Now!! This property rents extremely fast!! Our friendly managers are awaiting your call at 780-984-7305. Call now!! You won't be disappointed!!! ** Please note the pictures shown are of a similar apartment with similar finishes. The kitchen in the photos shown don't have the quartz counter tops that will be installed in this apartment, however the cabinety will be the same. The soaker tub shown is exactly the same as the one in this apartment. Once the renovations are completed, the actual photos will be posted. Luxurious 1 Bedroom Featuring Hardwood Floors and Luxurious Soaker Tub!